Dear saints, the single great imperative of the New Testament is that those who have been so gloriously saved by faith in the Lord Jesus Christ will be dutifully watching, praying and preparing for His imminent return. This was the Master’s expectation when He went up into the heavens 2,000 years ago and it is His expectation still today. 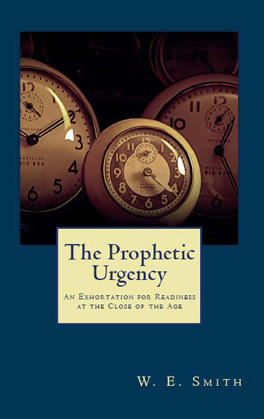 As we diligently search the Scriptures in this end time, we discover that this exhortation for readiness is found practically everywhere we look – from the gospels, to the epistles, then finally in the Lord’s Revelation to John. Though the Lord Himself has provided many prophetic signs and indications that “summer is near”, and that His return is “right at the door” (see Mark 13:28-29, for example), the precise date and time of His arrival has not been disclosed to us in advance. We must therefore be committed to be ready always, and to take to heart the many words of exhortation on this account. The Lord has graciously provided everything we need to watch and prepare for His return, so there will be no excuses dear saints. The only question that remains is whether we will be found worthy of this great calling when He does come to be reconciled with all those the Father has given to Him. Be dressed in readiness, and keep your lamps lit. “Be like men who are waiting for their master when he returns from the wedding feast, so that they may immediately open the door to him when he comes and knocks. “Blessed are those slaves whom the master will find on the alert when he comes; truly I say to you, that he will gird himself to serve, and have them recline at the table, and will come up and wait on them. “Whether he comes in the second watch, or even in the third, and finds them so, blessed are those slaves. Those who are being made ready are actively walking and working, but they are not working for the things of this world, with their hearts and minds set on earthly things. They are eagerly waiting for their Savior from heaven, who will complete in them what He started when He first imparted spiritual life to them at the new birth (Philippians 1:6). They recognize, as only the Spirit can reveal, that their citizenship is in heaven, and that here alone is where their hope and happiness reside. Oh brethren, to see this is most urgent and essential, for this is what has been in the Father’s heart all along regarding those whom He has called to His Beloved Son. We see this most poignantly in our Lord’s prayer on behalf of all of those who would be joined to Him. Please read this carefully and prayerfully dear ones, for if you truly see this with eyes wide open in the spirit, then I believe you will begin to see what it means to be ready to be reconciled to the Lord at His coming. “But now I come to You; and these things I speak in the world so that they may have My joy made full in themselves. “I have given them Your word; and the world has hated them, because they are not of the world, even as I am not of the world. “I do not ask You to take them out of the world, but to keep them from the evil one. “They are not of the world, even as I am not of the world. “Sanctify them in the truth; Your word is truth. “As You sent Me into the world, I also have sent them into the world. “For their sakes I sanctify Myself, that they themselves also may be sanctified in truth. “The glory which You have given Me I have given to them, that they may be one, just as We are one; I in them and You in Me, that they may be perfected in unity, so that the world may know that You sent Me, and loved them, even as You have loved Me. “Father, I desire that they also, whom You have given Me, be with Me where I am, so that they may see My glory which You have given Me, for You loved Me before the foundation of the world. “They are not of the world, even as I am not of the world.” There it is, in a nutshell, dear Christian. And unless you really see this and appropriate it, then you can never even begin to prepare for Him, by living and walking in His light and wisdom in the midst of this dark world. Now perhaps you have never considered this before, but each of us has been redeemed by the Father, at great cost to Himself, that we would ultimately be given to His righteous and beloved Son, and represented in the spiritual temple (a dwelling place for God in the Spirit) spoken of by Paul in the second chapter of Ephesians. To fully realize this purpose, to make this calling and election sure (2 Peter 1:10), to permit the Holy Spirit to prepare us as a bride worthy of the King – this is what it means to be made ready for His soon coming. Being ready begins with knowing why were redeemed; why we were called; why and for whom we were saved. It begins by accepting in faith that we were created in Christ for good works, and although we are still physically in this earthly world of darkness, to the Eternal Father we are very much seated with His Son in the heavenly places. Now we can talk all day about being watchful and alert, being awake, being sober, and ultimately being ready for the coming of the Master. Yet, none of this matters until we fully come to terms with the ultimate purpose of our new lives in Christ Jesus, which has everything do with His heavenly dominion, and the Father’s desire to prepare a bride worthy of His Son. Here is the singular reason so many blood-washed believers are found today fighting the wrong fight in this world, trying to fix this broken world, trying by some means to reverse the course of sin and darkness, trying impassionately to reform this or that institution, trying to advance or defend what are essentially earthly ideals and principles (democracy or social justice, for example). Once you begin to let the Holy Spirit take your heart to where the Lord Himself is found, there in the heavenlies, then quite readily you will begin to let all of these entanglements and distractions fall where they will. Only then can you begin to be found dressed and ready for His appearing. Yet this is something only the Holy Spirit can do, by giving life and weight to these precious truths in the Word of God; by revealing the Father’s Son to each of us in all of His matchless splendor and glory. Dear saints, beloved of the Lord and the Father, readiness, by its very nature, requires steel-willed focus and circumspection, eagle-eyed vigilance, patient and steadfast commitment, heartfelt devotion and tenacity. It also requires tremendous courage for following the Holy Spirit down the narrow path, wherever He leads, so often beyond that which is common or popular. It involves laying down anything that interferes with walking in the light and wisdom and will of the Master in this very poignant hour. Only His plans and purposes, as revealed to us in His Prophetic Word, are to inspire and involve us. Not the plans and purposes of this world, or the nations, or any of the various parties or causes vying for attention and influence in this hour. Oh how I pray we all would see this, as there are so few it seems who actually do. Now, brothers, about times and dates we do not need to write to you, for you know very well that the day of the Lord will come like a thief in the night. While people are saying, “Peace and safety,” destruction will come on them suddenly, as labor pains on a pregnant woman, and they will not escape. So many prophetic indications in the Scriptures reveal most clearly that spiritual drunkenness, dullness and distraction will characterize the end-time testimony of Jesus Christ. At the very moment when things will begin to happen, such slothful and complacent Christians will be utterly unaware and overtaken by the full onslaught of events foreshadowing the coming of the Lord into the clouds for His people. Just like in the garden the night our Lord was taken into custody, the disciples struggled in the flesh to stay awake. Had they known what was about to happen; had they been filled with the Spirit to overcome the weakness of the flesh, then perhaps the Lord might not have been left alone and abandoned when He needed them the most. Oh dear ones, the New Testament, from start to finish, is about being ready for His return. It is about living and walking in a constant state of anticipation that He might come at any moment. This was the single great burden of the heart of the Apostle Paul if only we would see it. 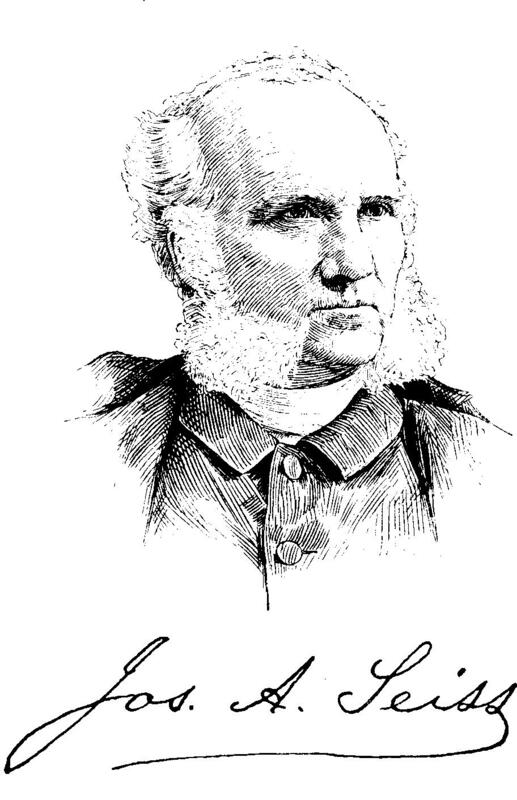 Whereas so much of current Christian teaching is focused disproportionately on celebrating the birth and the beginning of our new life in faith (however wonderful and praiseworthy this may be), the Word speaks primarily of standing up and walking, and eating meat, of running towards the prize, and growing stronger and wiser, of growing up in Christ and entering increasingly into the heavenly plans and purposes of the Father and His Son. 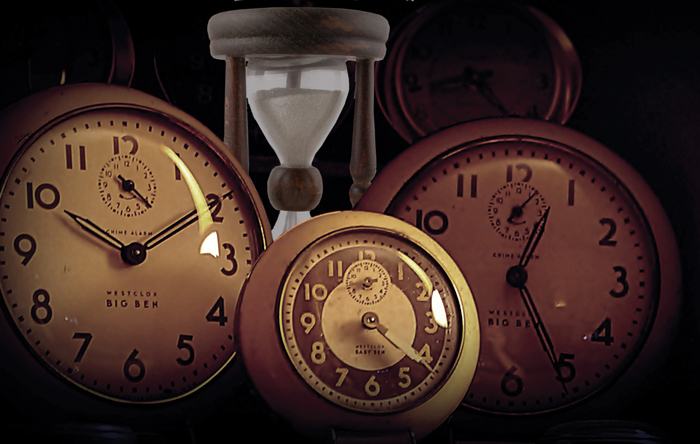 Where in this hour is the exhortation for readiness on the part of God’s blood-washed people? Where are the blood-mixed tears and weeping over the sorrowful state of the Christian testimony on this earth in this perilous hour? Why is the church on the corner dressed in silk and singing when they should rather be tearing their clothes and pouring ashes on their head? Drunk and blind! Hardness of heart and of hearing! Carnal and deluded! Poor and miserable! Oh Lord, help us! Have mercy Oh Lord, for we all have sinned most grievously against You and Your perfect plans! But this watching implies more than constant expectation. It requires, also, efficient preparation. It is a condition of wakefulness, in order to be fortified against surprise, guarded against danger, and ready to seize upon our opportunity. We never watch except to be prepared for certain emergencies that are likely to come upon us at a time and in a way which we cannot exactly foresee. To be prepared for the coming of the Son of man, is to be in the condition of the five wise virgins. First of all, we must be virgins; that is, chaste, and pure from idolatry and sin, being cleansed and sanctified by the blood of Jesus and the renewing of the Holy Ghost: in other words, we must be genuine and thorough Christians. We must also have the true spirit of faith and hope, which is the renunciation of the world, and the looking forward to the coming of Christ and his kingdom as the great goal of the Christian. Clearly the difficult times promised by Paul (2 Timothy 3:1) have come upon us dear saints, and yet those who are making themselves ready by the grace and provision of the Lord, will not fall back nor stumble. They are waiting anxiously and expectantly for the mercy of our Lord Jesus, as it will be most fully realized at His coming. Their singular joy is to stand in the presence of His glory blameless and with confidence. This is the wonderful hope set before us throughout the Word of God. And again, only the Holy Spirit is capable of making us ready! The flesh is weak, and sleep so often consumes us. The flesh wants only to fill its cup in this world, and then to drink. The flesh wants the best of both worlds, when clearly the Lord promises us a narrow way; rejection and hardship, suffering and loss. To be ready for the Lord when He comes requires the dedication and determination of an athlete, and the hard work and endurance of a farmer. Both are fixed and focused on the task ahead of them, even though so many things are going on beyond them. Both are willing to forfeit any immediate reward that they might realize a far greater return in the near future. Though people and circumstances will try to entangle them in the affairs of everyday life, they have a far more important and urgent mission before them. Many, friends and family even, will consider them emphatic or extreme. Yet they persist and press onward in their calling, for their lives are no longer their own. They both live in the Lord Jesus Christ and they live for Him. He is their first love and only when they are reconciled to Him at His appearing, will their hearts be fulfilled. May we all press on in this dark day, dear brethren, working out our complete salvation (spirit, soul and body) with fear and trembling, forgetting that which is behind us, and reaching forward to the prize of our upward call in Jesus Christ. In His Name, we pray. Amen. Dear saints of God, while so much of the Christian world is being caught up and entangled in the futile affairs of this present world, the bride of the King is diligently and enthusiastically making herself ready. It was for this reason, after all, that the Holy Spirit was sent into the world to begin with, to prepare a suitable help-meet for the Master’s Son (Gen. 24 and John 14). Once she is ready, she will go to Him and thereby complete Him, such that He can reign forever in the kingdom given to Him by His Father. If only believers would see this as clearly as it is conveyed in the Scriptures, from Genesis to Revelation, then perhaps the imperative for readiness would be more comprehensible. While modern-day Herodians (Christians seeking to actively improve or influence politics and civic life in the nations of this world) abound it seems, the bride understands that she has no place here with her father’s people, that she must forsake all and travel to where her groom is. This is all portrayed so wonderfully in the 24th chapter of Genesis, in the account of Abraham’s nameless servant (whom we know to be Eliezer) sent to seek a bride for Isaac, and in Rebekah leaving all to go and meet him. This so beautifully pictures the Holy Spirit dispatched into the world, and more specifically the Body (note that the bride is to be found among Abraham’s own people), to prepare a suitable help meet for the Lord Jesus Christ. Here, in a nutshell, is what this current dispensation is all about, and if we understand this, then we will be well on our way to being included in that bridal company representing the affianced bride of the King. 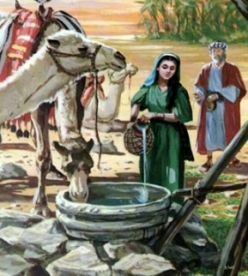 Note that Rebekah is not only found to be most pure and lovely, she is also found to be working diligently and enthusiastically, drawing water from the well, and showing kindness to the servant of Abraham (Note that Paul in Ephesian 4:30 exhorts us not to ‘grieve the Holy Spirit’). Rather than resist this stranger, she trusts and cooperates with him. His earnest prayer to the Lord has indeed been answered, for he has apparently found one eminently worthy of his master’s son. Consider too, that she is not taken from out of the world at large, but from Abraham’s own people. Here the picture begins to take shape for us in this age, for the bride of the last Adam is not taken from the unsaved world, but from His very body. As this was true for the first Adam, so it is also true for the last. Dear brethren, once the Holy Spirit has successfully fulfilled His charge, and found (prepared) a suitable bride for the Master’s Son, then the Man will be completed such that all dominion in the heavens and earth can be granted to Him. Once the bride has made herself ready by actively cooperating with the Helper sent by the Lord, and preparing to meet Him mid-way between the heavens and the earth (Gen. 24:62; 1 Thess. 4:17), then the true prophetic meaning of Genesis and so much of the Bible will be most gloriously fulfilled. We would, I dare say, do well to consider the types pictured in the Scriptures, for they cannot be broken (John 10:35), and all that has been ordained by the Creator from the very beginning will be so perfectly fulfilled. Rare indeed is the Christian in this hour who has a faith willing to go, who will follow the Holy Spirit’s lead as He brings him to the place where the Lord abides. Notice also how Rebekah’s family (picturing, it would appear, the church at large) attempts to forestall her leaving. Oh dear friends, this is precisely what befalls those who begin to get just a little too enthusiastic about the things of the Lord (especially prophetic things it seems), and the way of the Spirit, and the desires of the Master’s House. So many Labans, it seems, will try to hold you back, to convince you that there is no real sense of urgency, that readiness can be delayed, that other things are more important. Recall too, how it was this same Laban (Rebekah’s brother), who tried to prevent Jacob from returning to his own land and his own people many years later. Now the name Laban may mean “white”, but this man was anything but pure in his motives or intent, for it was always his own worldly interest that engaged him, not the interest of the Lord. This we feel, is a perfect picture of earthbound and Laodecian Christians in our own day, who are forever trying to dissuade the thirsty few from plunging deeper into the Spirit’s fountain. Clearly, it is one thing to be invited to the Master’s feast, it is quite another to be adequately dressed for the affair. The many here, I trust you will discern, are not representing the world at large, but those called out of the world, His ecclesia. And the few are represented in those who are suitably dressed in readiness, and chosen by the Holy Spirit to partake of the Master’s table. Oh dear ones, to enter most fully into the abounding riches of the Father, as conveyed by His Most Holy Spirit and Helper; this is what it means to be dressed in readiness; to be made ready for the appearance of One so much greater than Isaac. Will we receive such gifts therefore? Will we determine in our hearts that we will accompany this Helper (Note that the name Eliezer means ‘God’s helper’) out into that pathless wilderness? Do we have a faith that is willing to advance, and to trust completely that our Helper will not disappoint us? It is most certain, brethren, that the Lord will have His bride, and that she will have made herself ready. These things are beyond doubt or question. Yet not all members of the body will have made themselves ready, nor prepare themselves for His coming, by being alert and sober. That day will indeed arrive, yet some will be overtaken by that day, not realizing the imminence of the hour, nor the exigency for readiness. To be ready, dear saints, is to be arrayed in the full armor of God, for the hour in which we live is plagued with evil, falseness and thick darkness. The spiritual rulers of this age know full well that their time is short; that He who has earned the right to wield the scepter will soon raise it up over their heads. Yet sadly, tragically, pitifully even, so many blood-washed saints of the Most High have no genuine sense of the hour in which we find ourselves. Rather than being dressed in readiness, and arrayed in the full armor of the Lord, they will be found naked, exposed and vulnerable when He comes to judge His own. 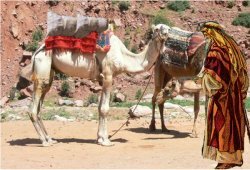 Rather than being found drawing diligently from the well and cooperating with the Master’s Helper, as was Rebekah, they will be found as Laban, who always seemed to be on the wrong side of the Master’s interests. Dear beloved of the Lord, it is good that we are reminded of how Genesis 24 ends, for in reality, this is precisely how things will end at the close of this dispensation, when the fully dressed bride is taken up into the clouds to be forever with the Master’s Son. Here from afar, she sees Him, and soon discovers that all that the servant had conveyed to her was true. Her faith and trust was rewarded, and here midway between her home and his, she will encounter her future husband. It is, to be sure, a beautiful story, made even more poignant by the fact that the future reality it represents involves all of us, if indeed we are paying attention in the Spirit. The exhortation is therefore most clear and simple – all must be set aside that interferes with our being made ready for His coming, with our finishing the course that we have started. To be ready in this hour, is to fix the eyes of our faith solely and steadfastly on Jesus, for one day very soon we will behold Him without faith, in the tangible glory of His presence and majesty. The Helper and Comforter, that faithful of all servants, will hand us over to Him and His work will be finished. He will have found a suitable bride for His Master’s Son from among his own people. And in making herself ready, this bride would have discovered a secret given to her by the Father’s servant, the Holy Spirit. To be dressed in readiness is to be clothed with, or to put on the armor of light, which is the Lord Jesus Christ. It is His righteousness now that must cover us, and it will be His glory that covers us in a future day, when we will see Him as He truly is. Oh saints of the Most High God, the many have ‘paid no attention and went their way, one to his own farm, another to his business’. Only a few will be found dressed in the wedding garments that will permit them entrance into this most glorious celebration. Only the few will be overcomers in that hour. Only the few will be found suitably attired to be considered worthy to be invited to sit down with the King on His throne. The rest will be found complacent, distracted, self-absorbed, blind, naked and ashamed. Oh how serious is this whole matter of being dressed in readiness! How how very serious indeed dear saints! The Heavenly Father takes matters concerning His beloved Son most seriously (“the king was enraged”), and it is His foreordained will and pleasure to bestow all things to His Son, and to provide Him with a suitable help meet that He would reign over all that He has granted Him. To grieve the Father is a serious matter, and one not to be taken lightly. To be rejected, to be spit out of His mouth, to be thrown into the outer darkness, in the place of weeping and gnashing of teeth – does this not fill you will dread and urgency dear ones? If not, it should, for this is the full intent of all of these exhortations. Oh Lord, please help us in Your great mercy. You have covered us in the righteousness of Your beloved Son, the Lamb of God slain from the foundation of the world; please further clothe us in ‘fine linen, bright and clean; for the fine linen is the righteous acts of the saints’. Please do all of this for Your glory and pleasure Oh Father, in Jesus Righteous Name. Amen.